The Philadelphia Flyers have named Chuck Fletcher of Montreal, Quebec their new general manager. 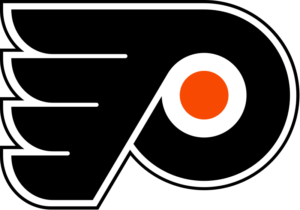 In an announcement made on Monday, Fletcher replaces former Flyers goaltending legend Ron Hextall of Brandon, Manitoba, who was the Flyers general manager from May 7, 2014 to November 26, 2018. This will be the second time that Fletcher will have been a National Hockey League general manager. He was previously the general manager of the Minnesota Wild from May 21, 2009 to April 23, 2018. In nine seasons with Minnesota, Fletcher helped the Wild reach the Stanley Cup playoffs six times including the last six seasons from 2012-2018. While as the general manager in Minnesota, Fletcher helped orchestrate two Wild teams that won playoff series. In 2014, the Wild beat the Colorado Avalanche in seven games in the first round before losing to the Chicago Blackhawks and in 2015, the Wild beat the St. Louis Blues in six games in the first round before losing to the Blackhawks again. The Flyers are currently in seventh place in the Metropolitan Division with a record of 11 wins, 12 regulation losses and two losses in extra time for 24 points overall. They are seven points back of the Montreal Canadiens for a playoff spot in the Eastern Conference. Claude Giroux of Hearst, Ontario currently leads the Flyers with 21 assists and 30 points.